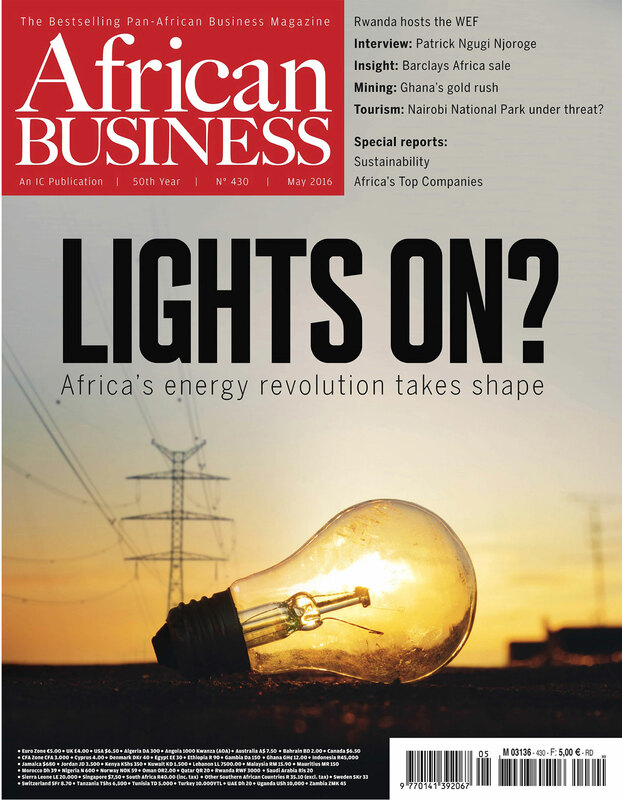 The May 2016 issue of African Business Magazine had a special focus on the “energy revolution” taking place in Africa. One of the articles highlighted the latest Lighting Global Market Trends report, which said that an estimated 35 million people in Africa had gained access to basic energy services since Lighting Africa’s first pilot in 2008. 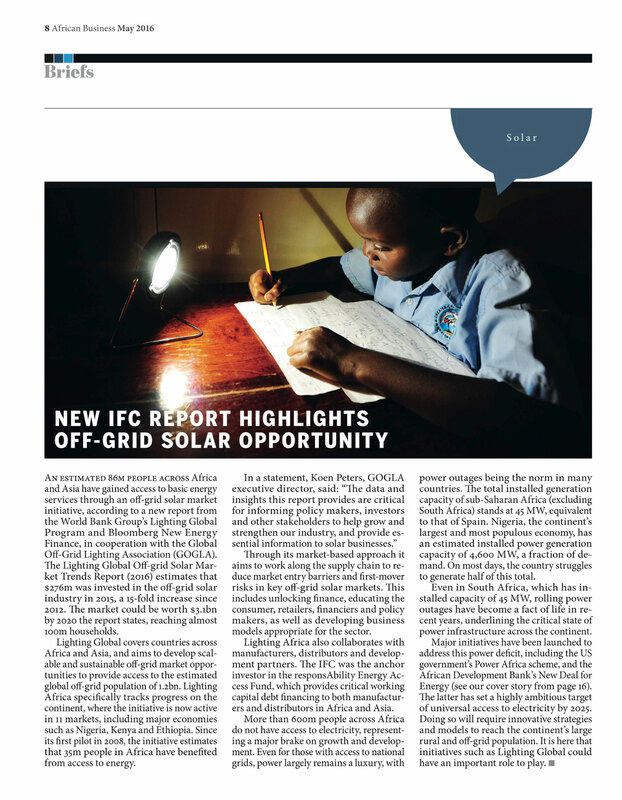 The feature also explains how Lighting Africa takes a market-based approach and seeks to unlock finance, boost consumer education and support the development of appropriate business models. It concludes that “initiatives such as Lighting Global could have an important role to play” in achieving universal access to electricity.